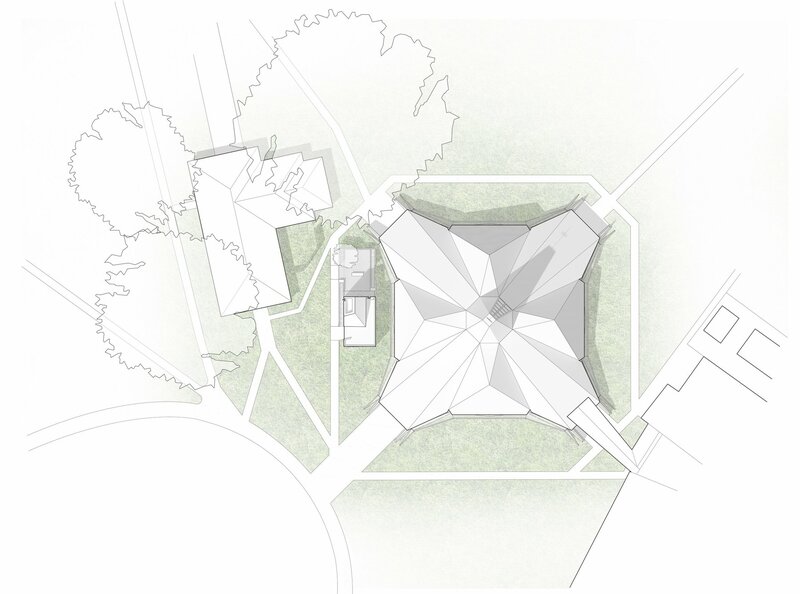 How can a tiny building inspire reverence like a cathedral? 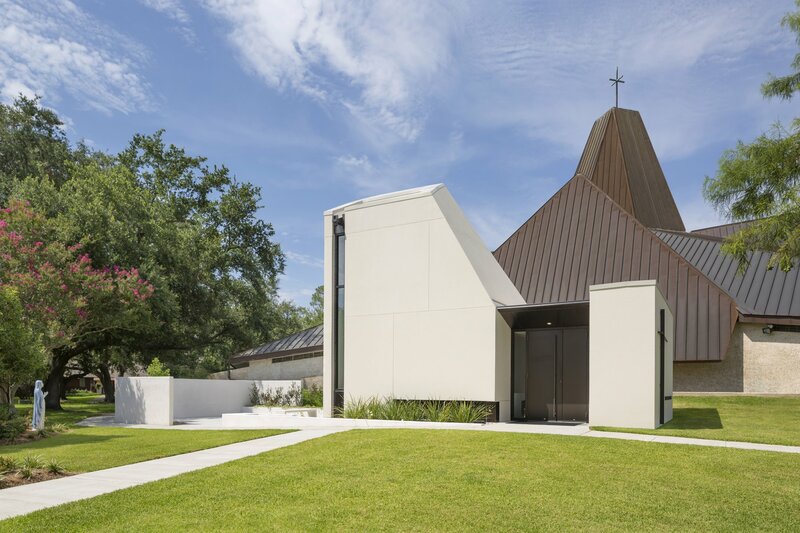 This new chapel is a delicately-placed, quiet counterpoint to the monumentality of the adjacent 1960s church, but its simple, angular form resonates with the expressive geometry of the church. 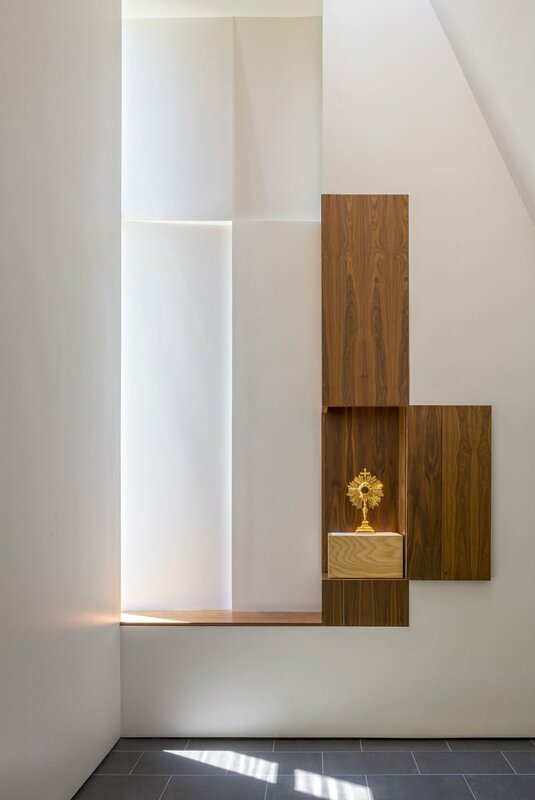 The sculpted form is carved to introduce discrete, linear strips of glazing above the ceiling, at the floor, and adjacent to the tabernacle, animating the space throughout the day without distracting prayerful occupants. 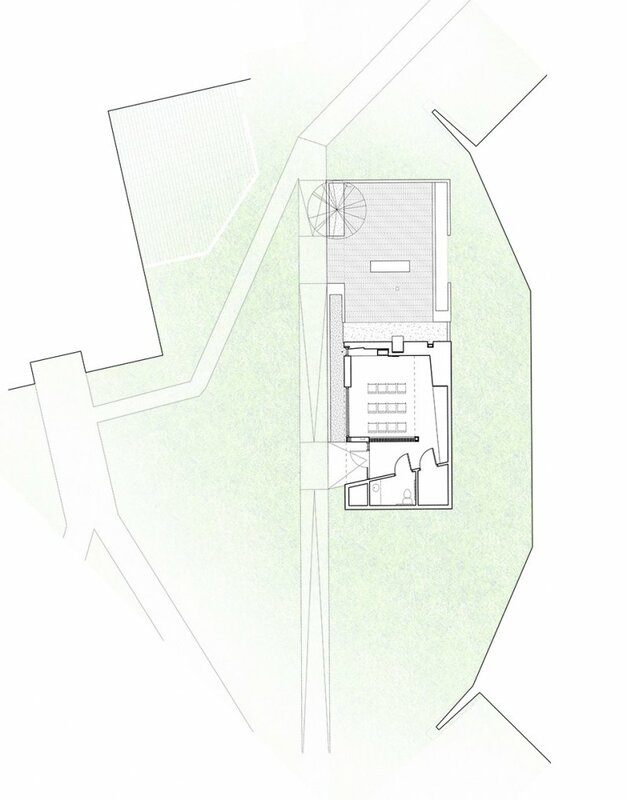 Visitors enter into a small vestibule separated from the chapel by a slatted wood screen wall that affords privacy, but also allows one to see worshippers occupying the space. The interior design features are intentionally minimal. The space’s power and purpose is enhanced by its very simplicity; the sculpting of the building massing extends to the interiors, and is visually understood as a carved-away, light-filled volume which constantly changes during the course of the day. Even the Christian cross, adjacent to the tabernacle, is expressed through the careful carving and folding of white planes accentuated by grazing light. 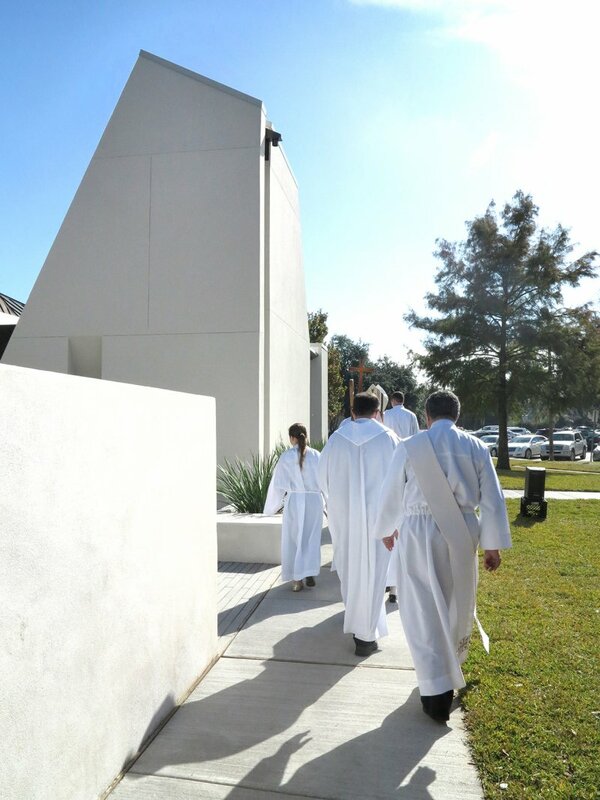 Since the space is used as a perpetual adoration chapel, all visual focus is placed on the custom wood tabernacle and monstrance containing the Holy Eucharist, allowing occupants the opportunity to worship in quiet solitude.